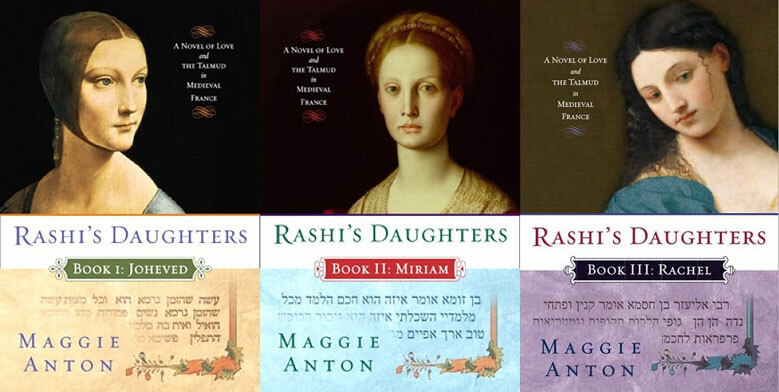 When top book publishers launched a bidding war for “Rashi’s Daughters” — Maggie Anton’s series of historical novels about the children of the famed medieval French rabbi and Torah and Talmud commentator — no one was more surprised than the author herself. Anton will speak about her works on Wednesday, May 18, at a NJ ORT Book and Author Luncheon at Congregation B’nai Tikvah, in North Brunswick. 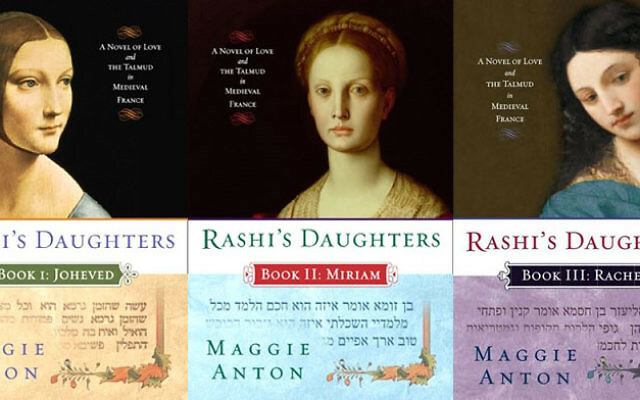 Anton’s trilogy brings to life the stories of the three daughters of “Rashi,” Rabbi Solomon ben Isaac (1040-1105), author of the first Talmud commentary. Rashi, who had no sons, reportedly taught Talmud secretly to his daughters, Joheved, Miriam, and Rachel — a practice unheard of in France of the 11th and 12th centuries. Anton fell into the subject by accident, while taking a women’s Talmud class in 1992, in between working as a clinical chemist in California and raising her son and daughter with her husband, David. “To my astonishment I fell in love with Talmud. It became my passion. Until then, my only knowledge of Talmud consisted of having read The Chosen by Chaim Potok,” Anton told NJJN in a phone interview from her Los Angeles home. “The teacher pointed out that Rashi’s daughters were reputed to be learned, to wear tefillin. I decided to see if those legends were true,” said Anton, who was raised in a secular household. Eight years later, Anton had written 600 pages of a first draft, which she decided to self-publish on the 900th anniversary of Rashi’s death. Armed with the knowledge that Jewish women buy more books per capita than any other niche audience, Anton took her book on the road, where she discovered she had another hidden talent — charismatic public speaking (“Who knew?” she laughed). Anton went with Plume, a division of Penguin Group. To date, she has sold more than 150,000 copies of the trilogy; she also published a young adult version of the first novel, called Rashi’s Daughter: Secret Scholar. She is working on a new series, “Rav Hisda’s Daughters,” which is set in third- and fourth-century Babylonia. Anton’s books include an afterword, to help readers differentiate between what’s real and what’s fictional. Among her most surprising research discoveries: The Shabbat candle blessing was based on the Hanukka candle blessing, not vice versa. Also, Jewish women in Rashi’s time were able to demand a divorce from their husbands, while a man couldn’t divorce his wife without her consent.